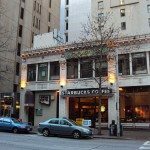 6th and Union – (Dec 2007) This was the first downtown Seattle Starbucks to receive a Clover. 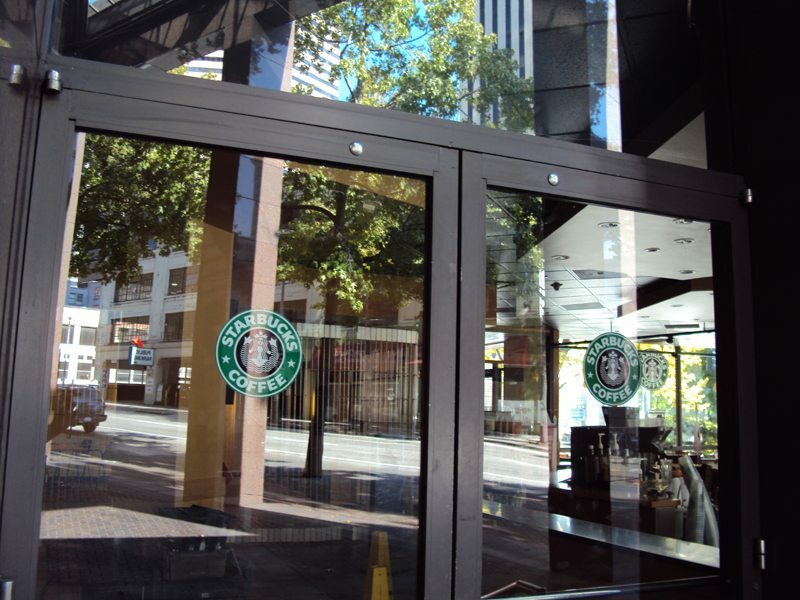 They have had one since December 2007 and were part of the first – extremely small – wave of Clover Starbucks stores. I believe this first few select earliest Starbucks to receive a Clover brewer included Queen Anne Starbucks, Madison Park, and 6th and Union. This was the place where I first found the Clover brewer. January 2008, Melody found the Clover and it was love at first sip. Dear readers, please do not confuse this store with 505 Union Station Starbucks. They are two different Starbucks at opposite ends of the downtown Seattle corridor. Actually, 505 Union Station is really more Pioneer Square or International District area. 6th and Union Starbucks takes its name from Union Street. The Starbucks at 505 Union Station takes its name from a building called “Union Station” which has nothing to do with the Union Street where one finds the 6th and Union Starbucks. 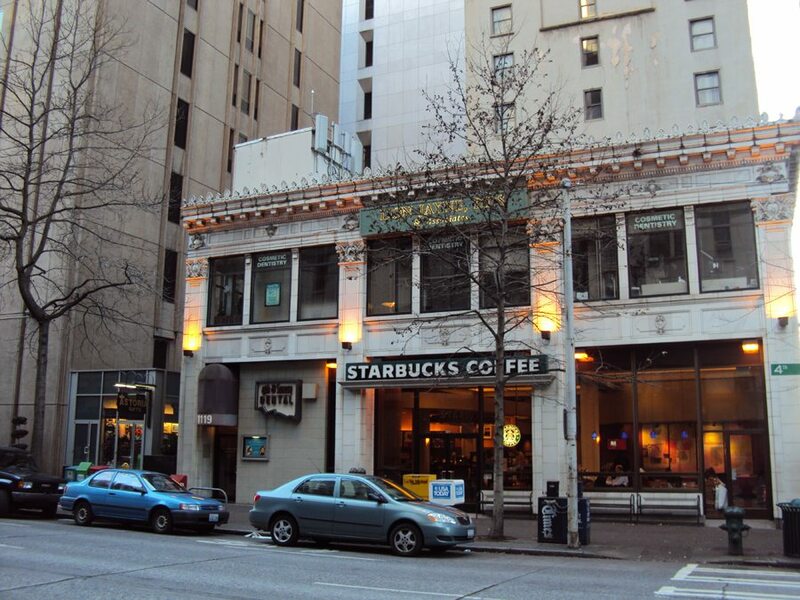 The 6th and Union Starbucks is actually located within the City Centre U.S. Bank Building in downtown Seattle, a large office building dominating the block between 5th and 6th. 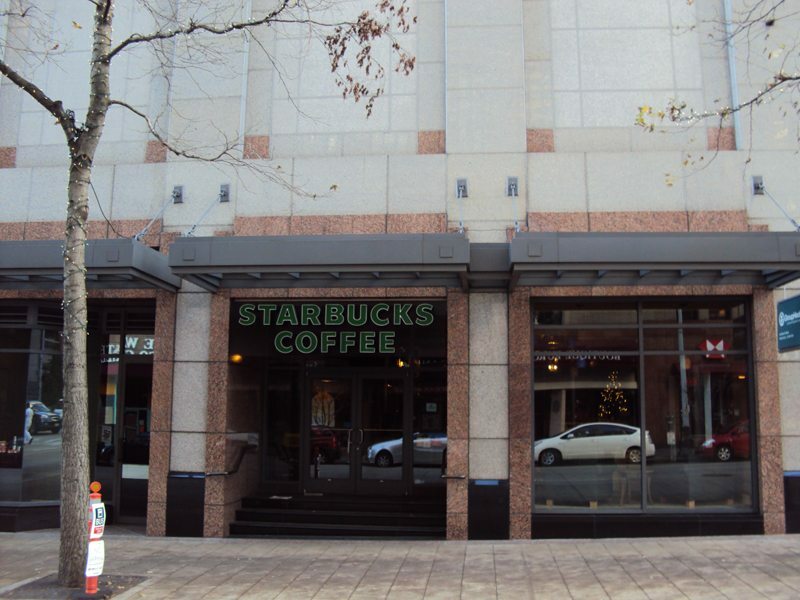 There are entrances to this Starbucks from within the building, along 6th, and a large exterior entrance on Union Street near 6th, obviously from which the store gets its casual Starbucks name. In addition, the pic of this store in this blog is taken from Union Street, facing the large Union street entrance. Columbia Center Starbucks – (Aug., 26, 2008) This store was part of a second wave of Starbucks Clover expansion. 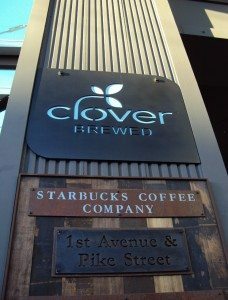 In August 2008 Starbucks did perhaps what was their largest wave of Clover expansion adding new Clovers to new cities, and adding several more to downtown Seattle. 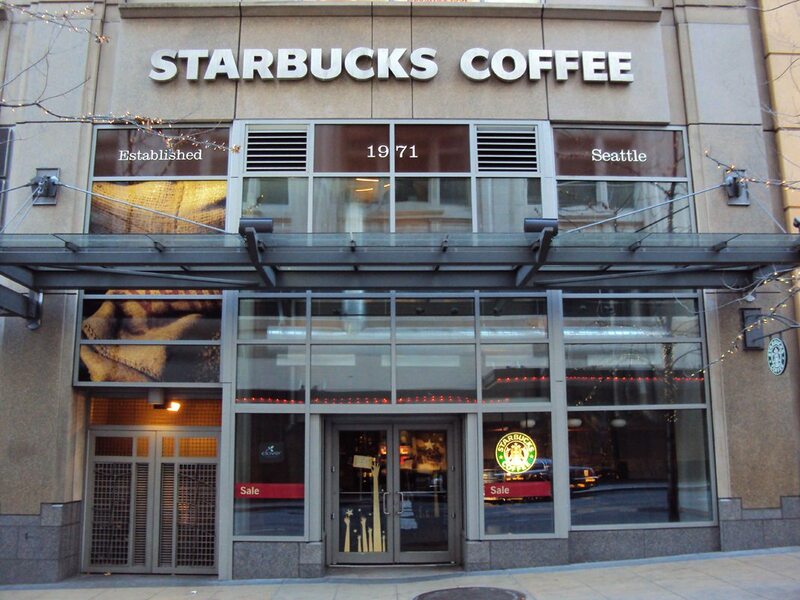 The Columbia Center is Starbucks store 101 and is the oldest operating Howard Schultz Starbucks. The store started out as an Il Giornale in about 1985, which was the Howard Schultz coffee business before Starbucks sold to him their company. 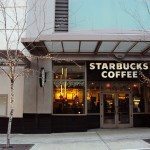 In 1987, Howard Schultz purchased Starbucks Coffee Company for $4 million dollars, and the Columbia Center Il Giornale was renamed “Starbucks”. 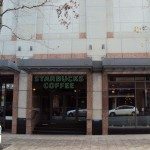 It has continually been operating as a Starbucks since 1987. 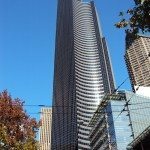 The store number for Columbia Center is “101”. The Il Giornale stores were numbered with “100” series numbers whereas Starbucks of the same era were numbered with “300” numbers. This store received their Clover on August 26, 2008. This is the Clover store closest to the King County Courthouse, Seattle Municipal Court, Seattle Municipal Tower, King County Administration Building, and City Hall. 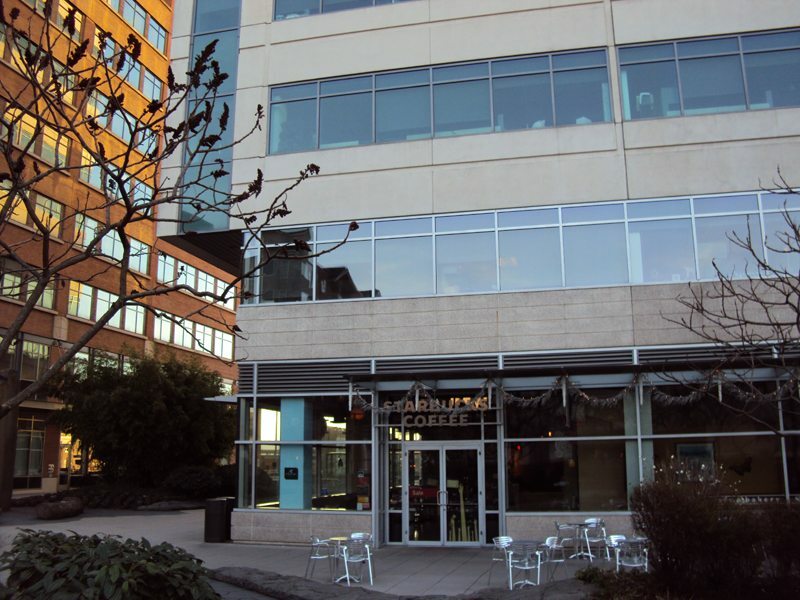 The store is located on the 4th and Cherry side of the Columbia Center, on the street level, with main entrances both on 4th and on Cherry Street. This store is open Monday through Friday from 5 a.m. to 6 p.m.
Click here for the official Starbucks blog entry about the August 2008 Clover expansion. Also, Columbia Center store is mentioned in a previous blog entry here, because it is one of only a few stores with an old pre-1992 Siren on display. 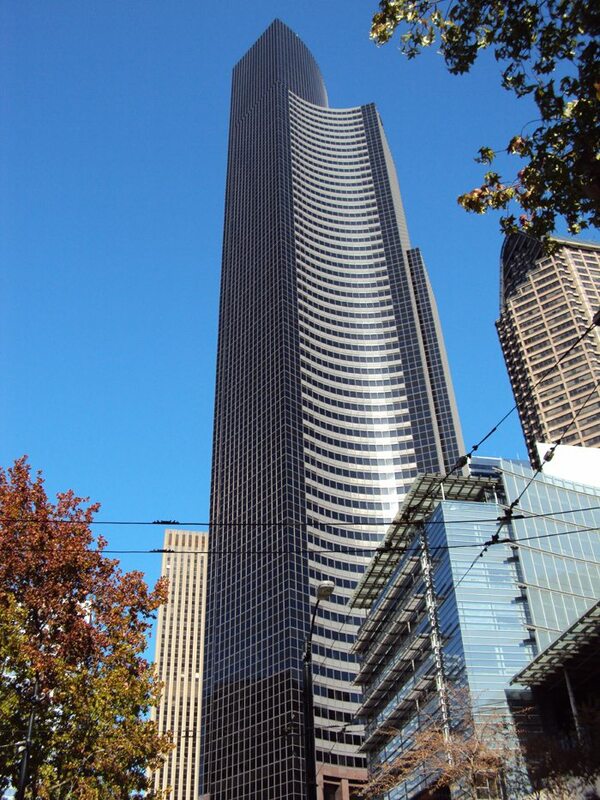 Also noteworthy, the Columbia Center is Seattle’s tallest building. 505 Union Station – (Aug., 26, 2008) – This store is located at the extreme south end of downtown Seattle, and really is closer to the International District. 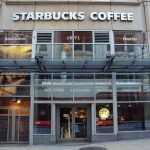 It is located right above a major metro tunnel stop, and it is the closest Starbucks with a Clover near Safeco field, and Qwest field. This store gets hits with waves of customers as buses and trains pour into the area. There are also a couple of significant office buildings nearby and as a result there is an intense morning rush in this store too. The store is also close to King Street Station, the main Amtrak Station for Seattle. If you’re visiting this store, be sure to say hello to “Ken” the store manager. He’s a very nice guy, and the store is lucky to have a coffee-passionate and knowledgeable coffee master named “Tracy”. She will gladly help you pick out your coffee choice and tell you more about the Clover. 7th and Pike (Aug., 26, 2008) – This store is located on the same premises as the Grand Hyatt hotel in downtown Seattle. Don’t be confused though! It is NOT a licensed store. 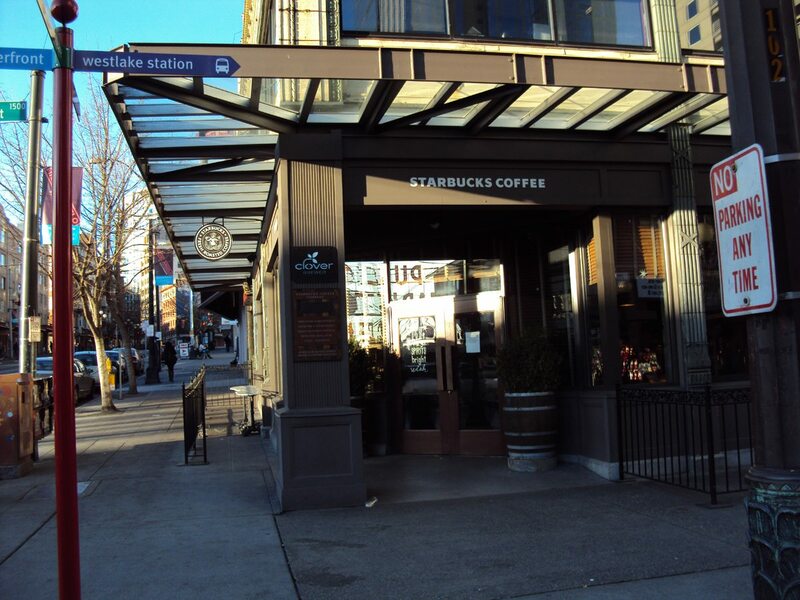 This Starbucks is central to great shopping at Pacific Place downtown and the entire shopping core, as well as the Washington Trade and Convention Center. It’s always busy. I never see it die down. It also has very late Monday through Friday hours. I believe the store is open until 10 or 11 on weeknights. The 7th and Pike store is often open at times even when other stores are closed – For example, today is Christmas, and the store is open. 1st & Pike – “Heritage Starbucks” – (March 13, 2009) – This store opened brand new on Friday March 13, 2009. It had one Clover at opening, and does such a volume of Clover sales that it now has two Clovers. I believe it is the only Starbucks operating with two Clovers! It is a beautiful store right at the entrance to Pike Place Market, and features an incredible store design of reclaimed wood, and has beautiful chalk menu boards. The clientele of this store tends to be large waves of tourists visiting the market and few regulars as well. If you visit this store, be sure to say hi to “Lea,” who is the warmest friendliest store manager you’ll ever meet. The team at this store is fabulous. Every single time I visit it looks like they click very well together. Coffeemaster “Jeremy” will gladly help you pick out a coffee for your Clover selection. This is an awesome store. Gorgeous store design and a fantastic team! Click here to read more about this beautiful store. 4th and Seneca (COMING SOON! Clover brewer coming March 2010) – This store does not have a Clover brewer as a I write this, but I have repeatedly heard gossip from multiple sources that this store will receive a Clover some time in March 2010, or thereabouts. I almost never go into this store, but I have to share a little story about today’s trip into this store (I am writing this on 12-25-2009). 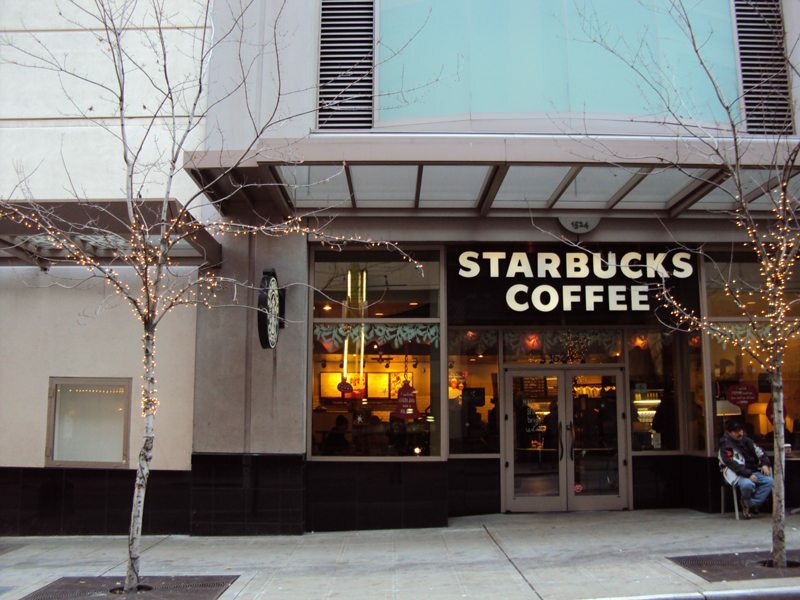 Today, I decided in the afternoon to go into downtown Seattle and take some pictures of the Starbucks for this blog. I figured that since it is Christmas, parking will be easy, few people will be downtown, and most Starbucks will be closed so perhaps that will lend itself to some nice photos without people in them. I got to 4th and Seneca, after visiting several other stores, and saw that it was open on Christmas. I took a picture and went in. And then we continued to talk for a moment about my blog. Pretty much, I was completely embarrassed that this baristas obviously knew me, and knew something about me, and yet I had no idea who she was. She told me that she had been to my site, I later learned (from the friendly bar barista) that the register barista is the store manager, Alisha. The official Starbucks Clover page is here. Enjoy! 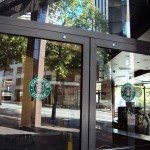 Many people write on MSI, or even in comments on this blog or other Starbucks blogs, that they want a Clover brewer to come to a Starbucks near them! 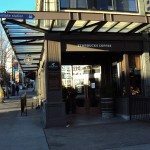 I’d invite anyone to comment in this blog if they have a perfect Starbucks store in mind for a Clover, and why. Just would be curious to see all of your thoughts on where Starbucks should put new Clover brewers. Downtown Olympia, WA Starbucks – Featured Clover store. Very nice guide. I’m still waiting for them to open a DC-area clover store… I haven’t gotten to try one yet, and really want to. I have recently heard about a shop not too far from here that might have one of the old (pre-Starbucks’ acquisition of the company) Clover machines. But it’s not confirmed and would be a long way out of my way if it turned out not to be true. That’s neat, however none of them are located on my way to work. 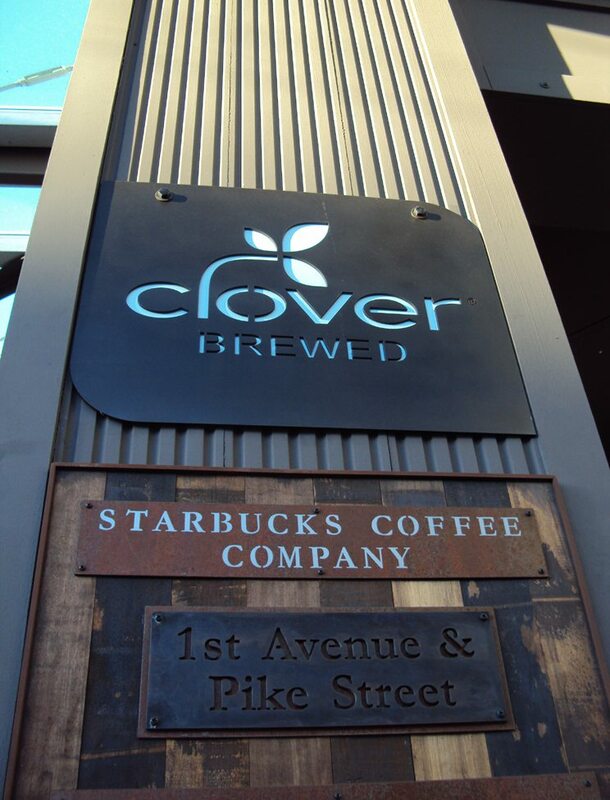 The only place I look for Clover brew is the one in downtown Bellevue. Awesome blog. How cool they greeted you by name. I can’t wait for a Clover to come here! Nice job, Melody. Covers the neccessary info without being overwhelming. Thanks for mentioning me. We’re glad you enjoy 1st and Pike. I always wondered why that store’s number was 101. I’d seen it on v2v before. Is it completely silly that I really love what I did with the pics for this blog entry? And I love the big Clover sign with the view looking up at the blue sky. The pics are good in this one. Yeah, the pics are good in this post. They’re very Christmas-y. I love when stores decorate with real garland, like 505 Union Station. Have you gotten into conversations with baristas about how many Clover coffees they’ll do on an average day? This makes me sorry that I don’t live in the Pacific Northwest! I am stuck in a midwestern area that thinks ‘Chock full o’ nuts’ is great coffee. The bright side is that someday I can open my own shop and have virtually zero competition! Now to only save up $200K. (Reply to CamSpi & Nate) – Cam, I’ll inquire and get back with more information, if I can. I know I’ve heard numbers of like 20 or 30 Clover cups per day, but it’s been a long while since I’ve had that conversation with any barista. Nate – It’s true that you’ll have no competition, but you’ll have to go through a process of giving your customers an education as to why it is worth it to spend $1.55 to $2.50+ for 12 ounces of coffee. Yirgacheffe at Starbucks from the Clover is close $3.50 or $3.75 (don’t remember which). There is an indy house close to my work that has a Clover from the pre-Starbucks acquisition – Called Trabant coffee. I think their prices are in the same range: close to $3 for a Clover coffee. a quick note on location: 505 union station (actual address is 505 5th avenue s) is squarely in the international district. @Elly LOL! originally I read “it is an excellent store with a very ATTRACTIVE staff!” Ha! My mistake. Sometimes I look on the Craigslist personals searching ‘Starbucks’. There are some baristas out there really putting themselves out there! 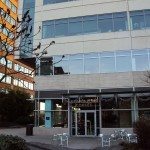 Lovely post, Melody: from my end, it’s interesting to get a customer’s POV on life in Starbucks, and additionally fascinating to hear about life in the siren’s homeland, if you will. The joys of Clover . . . unfortunately, my store in downtown Boston does not boast the glorious single-cup brewer. That said, it’s not without reason: being the second busiest store in our district, I don’t know if we could handle a Clover. For those of you who’ve enjoyed Clover brews, you may have noticed that the process is separated from the espresso and cold bars. During a decent rush, there would ideally be a minimum of three partners on the floor: one on register, one on bar, and one floater to expedite/warm/brew Clover. While seasoned partners may be up to the task, I would imagine that in a busy store, the Clover is still the bowling ball of the tasks a floater would juggle, and even though I’m sure the brewer would increase profits substantially, I don’t know if it would still be worth its “unwieldiness.” Yet.